Still recovering from all that Lollapalooza festival-ing or did you just have a long week or work? Take a step back from the grind this weekend and spend time relaxing outdoors and soaking up all the culture our city has to offer. Enjoy your free days visiting Navy Pier, taking in a concert by one of your favorite performers or attending a neighborhood parade. Chicago's offering up four full days of perfect summer events, so choosing just a few might not be so simple! Bud Billiken Parade on Martin Luther King Jr. Dr. Doing something fun this weekend? 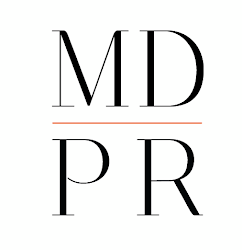 Tweet or Instagram a picture of your favorite weekend activity and tag us @MonikaDixonPR for a chance to be featured on #MDPRInsider next week! This could be your picture!